Perfect ! - enjoy the pool and all the restaurants in the area . Park in front of the door and love the convenience and the beautiful view from the rooms. Many places nearby to fish and golf. 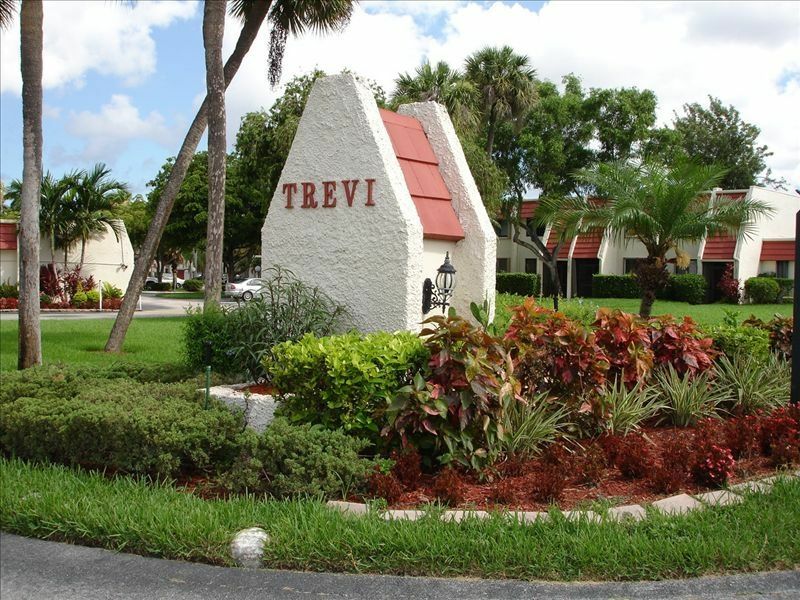 Best location - GORGEOUS complex well maintained and always nice- pool in front of the door - easy access to the airport - to Palm Beach to POLO to City Center - to the beaches and nice neighbors in the complex. Gated community - good security - elevator - second floor. Lovely, one bedroom condo on the second floor with an elevator in gated community. Golf, pool, and tennis on the grounds. Good neighbors - great place to paint or play bridge. Just seven miles to the beach, 20 minute ride to the Mansions of Palm Beach, and 20 minute ride to the polo matches. Close to stores, banks, movies, and restaurants. Resort setting... Must see! Beautiful grounds. Great place to spend the winter. Pool, air-conditioning, washer and dryer (in common laundry room), fully furnished, linens included, dishwasher, telephone, microwave, toaster, coffeemaker, dishes and utensils provided, along with cable TV, VCR, stereo, and CD player. No Pets. Love the area. Totally re did the condo. Love sitting by the pool, golfing or having the grand kids visit and taking them to all the many attractions ( Lion Country Safari ) Polo and beaches. Totally renovated in 2012. Escape the winter weather - enjoy the pool and all the restaurants in the area . Park in front of the door and love the convenience and the beautiful view from the rooms. 2 32inch flat screen tvs - radio with ipod dock brand new kitchen and bathroom , tile floors , gorgeous gated community, private and beautiful but easy ride to the beach and Palm Beach and City Center . Polo grounds ( Wellington )about 15 minutes away if you like to watch polo- they play Sunday's. Super clean unit, located directly across from the pool. 20 minute ride to Lake Worth beach. 10 miles from Wellington, where you can enjoy multiple equestrian events. Lakeworth is noted for its street arts festival held every year, not an event to miss. Restaurants, shopping and golf abound. Fitness center 5 minutes from the condo.. Plenty of miles within the boundary to safely ride your bike, 24 hour gate security. Neighbors are friendly and accommodating. Our hostess was amazing. If there was something that was lacking, she ensured it was in place prior to our arrival. Very receptive throughout our 3 month stay. We would highly recommend this property rental. Lovely, clean and modern condo in a safe gated community. Well equipped. Palm Beach National golf course is 5 minutes away. Many other courses within 30 minute drive. We rented this unit for 2 years. The owner has been a pleasure to deal with. I have no reservations in recommending this condo to anyone.